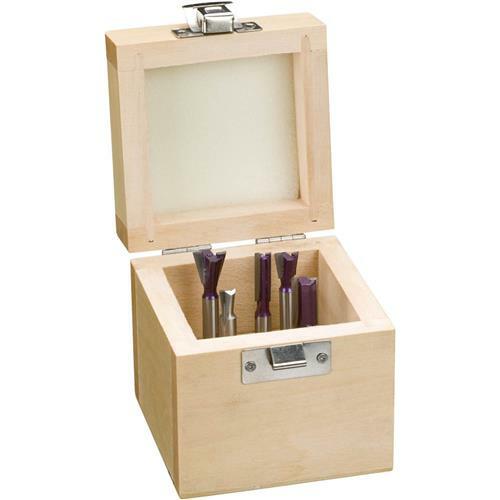 These Grizzly high quality brand carbide tipped router bit sets are made specifically for use with the INCRA JIG templates. No more hunting for the right bit for the job. Just look in the INCRA JIG handbook, see which size bit you need for the joint you are cutting and reach into the sturdy wooden box! 1/4" shank. Made for smaller joints. 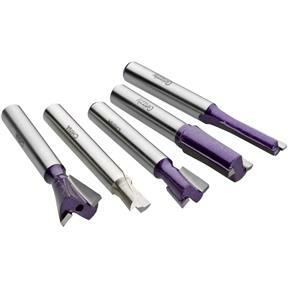 Please note: Due to the extremely small surface of the 1/4" Dovetail bit, it is made of special tool steel and is not carbide tipped.